Investors managing billions of dollars are DESPERATE to find a way to get exposure to rising lithium prices. The reason that the institutions want exposure to lithium is no mystery. 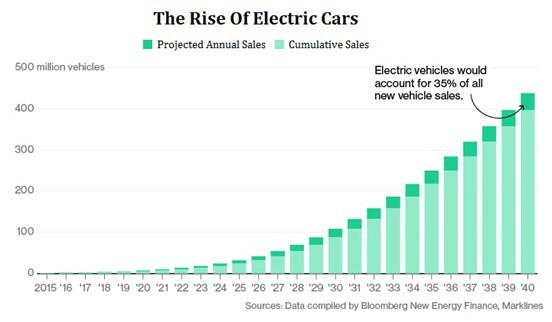 Electric car sales are about to explode higher. This is incredibly simple math. Today there are 1.4 billion automobiles being driven on the roads across our planet. As of the middle of 2017, less than 5 million of those cars were electric. At this point the electric car is a non-event yet the lithium market is extremely tight. This isn’t a case where demand for lithium isn’t going to double or triple. Demand for lithium will be increasing exponentially……by thousands of percent. Getting long lithium is a no-brainer for institutional investors. What is driving the institutions crazy is that there are no attractive direct ways to get exposure to lithium. The commodity isn’t itself isn’t traded on an exchange and there are zero pure-play lithium producers. For evidence of how lacking in lithium investment opportunities we are all we need to do is just need look at the best option that investors currently have – The Lithium And Battery Tech ETF (LIT : NYSE). Some analysis of these supposed lithium focused investments provides from startling results. The three big lithium producers in the bunch (FMC, Chemical Mining Co of Chile and Albemarle) are actually diversified chemicals businesses that generate a small percentage of revenue from lithium. These producers are the three largest holdings of LIT (more than 40 percent of the ETF’s assets) and none of them get even 20 percent of their revenue from lithium. Other major holdings of the ETF like Tesla, Samsung, BYD and Panasonic don’t benefit at all from rising lithium prices — in fact they are actually hurt by lithium prices rising since they are consumers of lithium ion. Yet investors continue to pump money into this flawed ETF because they are DESPERATE for exposure to lithium…. LIT currently has almost a billion dollars invested in it. Just imagine how much institutional money is on the sidelines waiting for a real lithium investment opportunity to reveal itself! For months and months and months I turned over rocks looking for a good lithium investment. Note that I said a good lithium investment, not just a lithium investment. It took a long time but late last year I finally found one…..a good, attractively valued lithium focused company that I actually really wanted to own. This company has all of the elements that I look for when investing. Proven management, quality balance sheet, valuable assets. A solid investment. But then something happened……literally days ago. This company provided an operational update that caught me by surprise. Sometimes you are lucky and sometimes you are good…….the operational update from this company has turned what I thought was a good investment into something much better. The result is that I have now made a sizable investment of my family’s nest egg into this company. I believe that this is the single best way to profit from lithium —- to profit from the certain growth in electric cars. Based on the operational update just released by this company I believe that by the end of 2018 shares of this company is going to be in the portfolio of every institution that is interested in getting exposure to lithium. As you can imagine that is going to have a dramatic effect on the share price of this company. I want you to read my full report on this company —- for free. Like all of my company reports this one explains the operations of the company, the background of management, the value of its assets and the state of its balance sheet. What I’m offering is a win-win opportunity or both of us. THE WIN FOR YOU – If I’m correct in my assessment of this company you are going to get a risk-free introduction to the lithium company the market is DESPERATE FOR. THE WIN FOR ME – Whether you end up owning this company or not – you are going to remember that Keith Schaeffer found this opportunity before the rest of the market did. That is good for my business. The entire investment world is DESPERATE for a really good company that offers pure play lithium exposure. I don’t just have a good company for you….I have a great one.